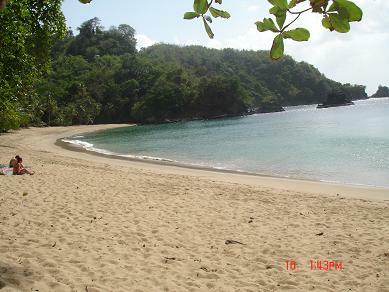 Tobago is blessed and endowed with some of the most magnificent beaches in the Caribbean. On this tiny Caribbean island, one can enjoy one lovely beach after another, from one end of the island to the other - from Crown Point to Charlottesville. 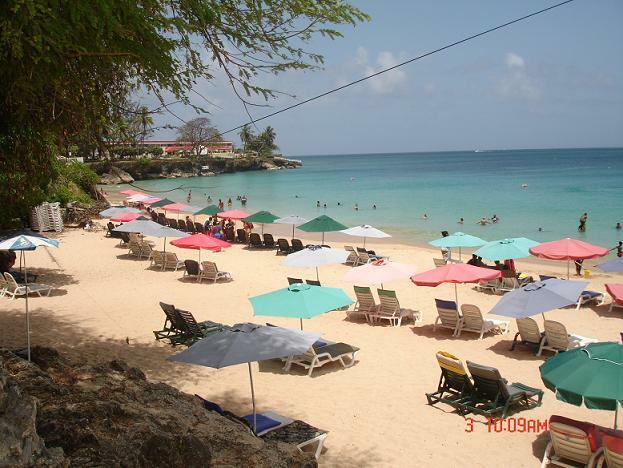 Even though Tobago is surrounded by magnificent beaches, we will select those that we think are the best. Englishman’s Bay is located on the northern side of the island and it is washed by the Caribbean Sea. We give top rating to this beach. This is one of the best Tobago beaches because of its silky calm waters and its astonishing and awe-inspiring beauty. In fact, in some publications, it is ranked as one of the 6 best beaches in the Caribbean. The fact that it is almost always calm. That’s because it is protected on each side by the island’s main mountain range which forms a protected enclosure. This also gives it the most post card picture perfect appearance. This beach enjoys a secluded location. It is positioned away from any village which is unusual since most beaches on the island have villages which grow up around them. It is also situated away from the most populated parts of the island. This is the most popular beach on the island. Its location has contributed mightily to its overwhelming popularity. It is located extremely close to Crown Point Airport and very convenient for tourists. Most of the best hotels of the island are located in this area. Additionally, many guest houses have sprung up in the vicinity to cater to the many visitors to the island. It is also located on the flattest part of the island. It also enjoys a close proximity to the capital, Scarborough. This is great for the many Tourist ships that put in to port in Scarborough for a day. If their passengers want to enjoy a dip in the sea, this is a quality beach and it’s only about a 15 minute drive. The waters are clean and clear. This beach is usually very calm and shallow. Located on the north eastern part of the island, in the village of Delaford, it is away from the capital of Scarborough. It is sheltered by a peninsular that juts out to sea that acts as a wind breaker. Yes, Tobago is an island surrounded by one magnificent beach after another. Build your own website like this even if you are technically challenged. To learn more, click on the link below.